More from Ora: Is Jeremy Irons playing Scar in the ‘Lion King’ remake? Ben Mendelsohn – who plays Orson Krennic in the upcoming ‘Rogue One’ – cops to having seen the film at Skywalker Ranch, and describes what sets this movie apart from the others in the franchise. Larry King: And I hear that you’ve seen it? Ben Mendelsohn: Yeah, I have seen it. Ben Mendelsohn: And I’m gonna tell you the ending. Larry King: You saw it at the – ha ha, yeah – you saw it at the Skywalker Ranch, right? Larry King: And everybody dies, is that true? Ben Mendelsohn: I don’t know who told you. Ben Mendelsohn: Yeah, fair enough. Ben Mendelsohn: Cause it’s the greatest space battle movie with a heart you’ll ever see. Larry King: That – it’s a space battle movie with a heart. Larry King: More so than any other film like it or…? Larry King: What’s it like for you to be the villain of the piece? 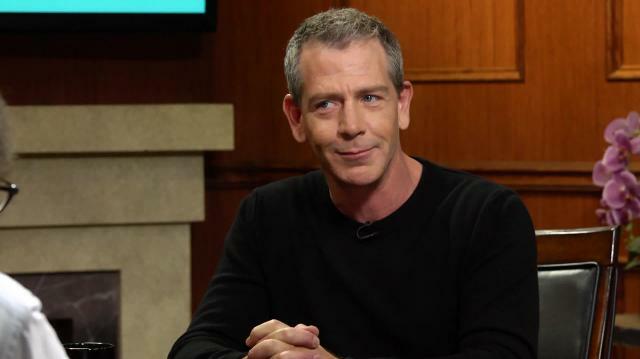 Ben Mendelsohn: It’s an incredible compliment. It means I get to hang out with Darth, which isn’t bad. Look, my guy built the death star, so it’s pretty awesome. Larry King: Is it more fun to be the villain? Ben Mendelsohn: Not necessarily. You get to deal with a different emotional power usually. Larry King: So the villain doesn’t think he’s a villain, right? Ben Mendelsohn: Yeah generally speaking. Although there are, you know, there are some ‘bad guys’ that revel in being a bad guy. I think there are certain of them that would have been very aware of where they lived in this world and would’ve enjoyed the fact that they had this sort of power over others. So, look I’ve played a lot of nice guys, they used to think that all I could do was be a sweet, lovelorn, heart-filled guy that wanted to get the girl back in the day. You know, the roles that you play, if you’re lucky, they change over time.